A 39-year-old man presents with a 3-year history of lesions on his fingers and toes that appear following exposure to cold temperatures. 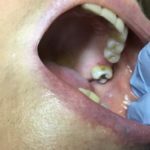 A 72-year-old woman presents with intermittent burning and pain in her tongue and buccal mucosa. Derm Dx: Can You Diagnose These Itchy, Blistering Lesions? 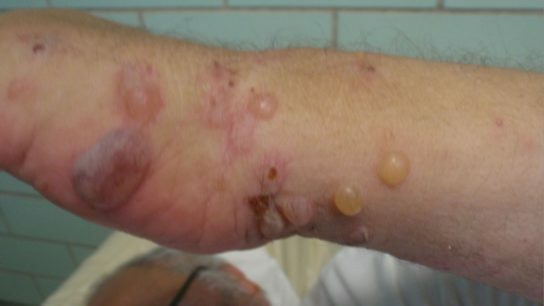 A 72-year-old man presents with itchy, tense blisters on normal-appearing skin. For optimal results, a multifaceted approach should be used for management of patients with atopic dermatitis. The extracutaneous manifestations of psoriasis and guidance on use of biologic treatment for management of psoriasis are discussed in 2 new guidelines. 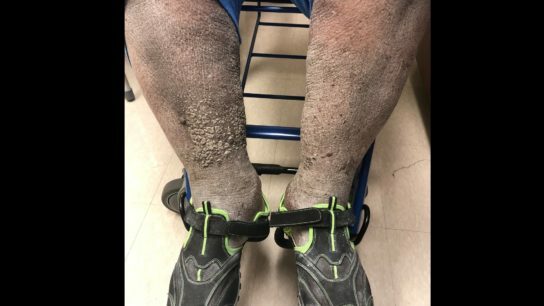 A 27-year-old man presents with numerous erythematous papules on the extremities and trunk.